At Barco’s Painting of Colorado, we pride ourselves on offering our clients the best quality at a price that’s fair. It being the middle of the winter (thankfully we’re not experiencing record lows like other parts of the country are right now) and all, the jobs we’re doing primarily at this point are interior painting jobs. From painting the trim throughout a house to painting its kitchen to painting accent walls in the living areas, we know what it takes to get the job done the right way. And although it might not feel like it now, the summer is closer than it feels. Before you know it you’ll be trading in sweatshirts and jackets for shorts and flip flops. That means, of course, that we’ll have several exterior painting jobs coming up. After all, warmer weather is the best time to paint the outside of a house! Being located in Castle Rock, people often assume that that’s the only place we do business. That couldn’t be further from the truth! The reality is that we love having an excuse to visit our neighbors in the surrounding communities. That’s why in today’s post, we’ll highlight some of the other areas we serve. Keep reading to learn more! That’s right — if you’re a resident of one of the cities above and you’re looking for a painting company who can tackle any job that comes their way, look no further than Barco’s! Regardless of the task at hand, you can count on us to work with an attention to detail that is simply unmatched in our industry. Whether it’s interior painting, exterior painting, fence painting, deck staining, or something else, we’ll go above and beyond to get the job done right. We know that there’s a certain amount of stress that comes with having to pick out a painting company. Chances are that you’ll check for reviews and call the companies that seem like the best fit. That’s wise! We’re lucky to live in a day and age where people can see feedback that others have left, and it’s an important part of the decision making process. What we want you to know about us is that we’re not pushy salespeople. We’re happy to provide you with an estimate and let you make a decision. We want your experience with us to be as stress-free as possible. It doesn’t get much better than that. 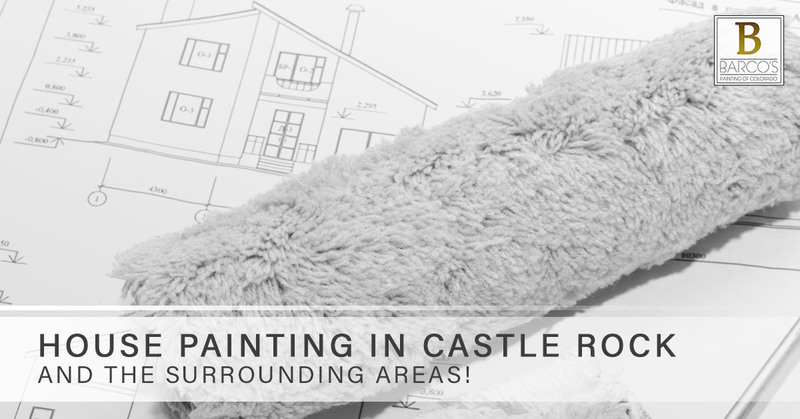 Whether you’re looking for a house painter in Castle Rock, Littleton, Parker, Lone Tree, or Highlands Ranch, turn to the crew at Barco’s Painting of Colorado. No matter the task, we’ll work hard to transform your home. When you bring us on for a job, we’ll work to be clean, orderly, and efficient. The end result is sure to put a smile on your face. For luxury work at affordable prices and a high level of integrity at every step of the way, look no further. Contact us today to get started!